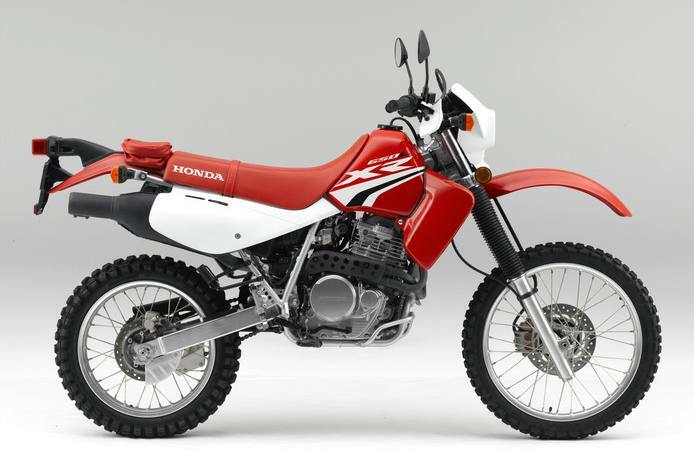 The Honda XR650L is a legendary bike. Not for the way it looks or because of how many races it's won. But because of how brutally perfect it is for serious off-road adventures. Fully street legal, thousands of riders use it as a brilliant commuter. But when the road ends and the trails start, an entire generation of riders has proven that this is the machine you want, because it never lets you down. Its ultra-tough 644cc overhead-cam engine has torque and power to spare. And because it's air-cooled, it's easy to maintain, and there's no hoses or radiators to leak out in the middle of nowhere. 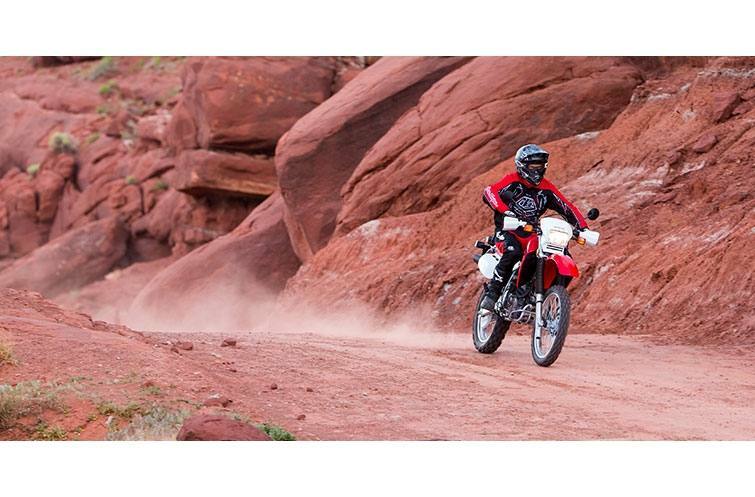 The engine's gear-driven counterbalancer reduces vibrations, so you're more likely to ride farther. Long-travel suspension is trail proven, and easily tames the gnarliest pavement. 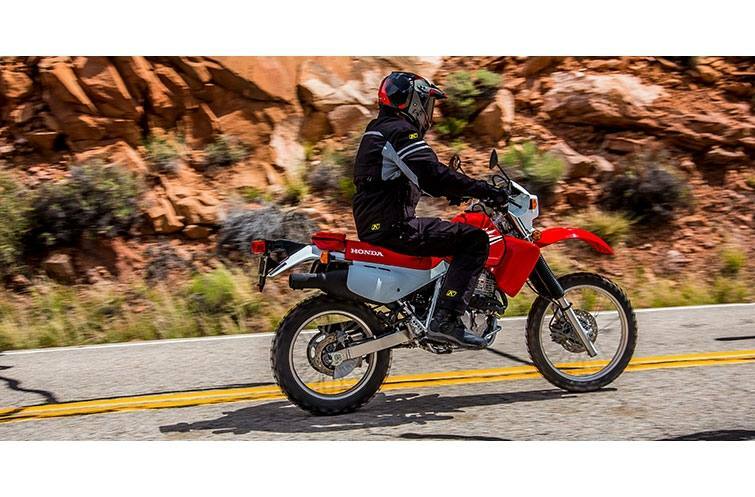 The XR650L is the dual-sport that rolls up its sleeves and gets the job done. 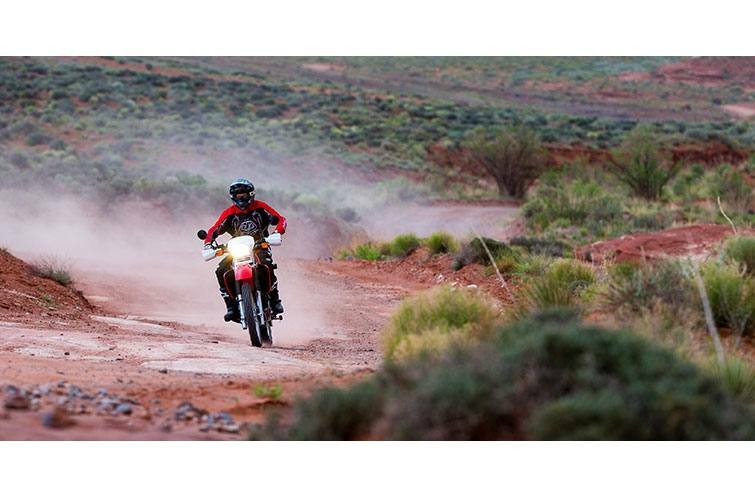 Steel Frame: The XR650L's steel frame is designed to handle the intensity of off-road travel. Plus, the frame's backbone doubles as the engine's oil tank, saving weight and space. Street-Legal Features: Fully equipped for the street—including turn signals, license-plate light, mirrors, speedometer and more. There's even a grab strap and footpegs for a passenger. 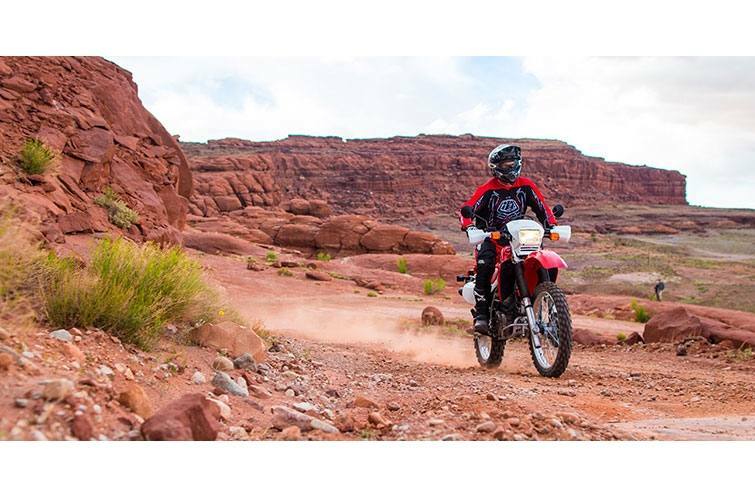 Electric Starter: Adventure is just the push of a button away. 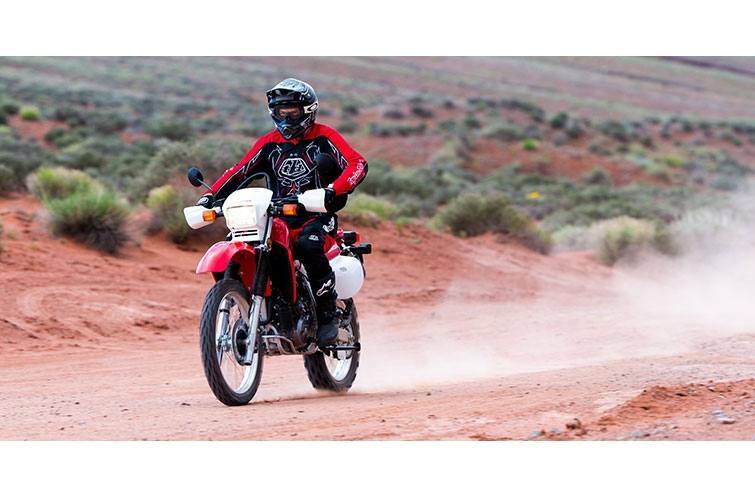 The XR650L's electric starter takes all the drama out of restarting off-road, or getting underway on a cold morning or after the bike's been sitting all week. 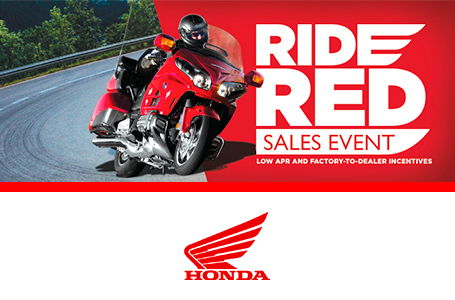 Pro-Link® Rear Suspension: Honda's Pro-Link® rear suspension system offers compliant and comfortable ride quality with a high level of wheel control. Initial rates are soft for supple action over small bumps and ripples, while increasingly stiffer rates resist bottoming and maintain rear-wheel control over rougher surfaces. Dry-Sump Lubrication: The XR's dry-sump design keeps the engine compact and eliminates the oil pan for superior ground clearance and damage resistance. With the engine oil in the frame, the frame itself acts like a giant oil cooler. Four-Stroke Engine: The XR650L's four-stroke, single-cylinder engine offers good fuel efficiency and a wide powerband. In addition, its proven powerplant requires very little maintenance. Miles Per Gallon: 52 MPG - Miles per gallon values are calculated estimates of fuel consumed during laboratory exhaust emissions tests specified by the EPA, not during on road riding. Use for comparison purposes only. Your actual mileage will vary depending on how you ride and maintain your vehicle, weather, road conditions, tire pressure, cargo and accessories, rider and passenger weight, and other factors.